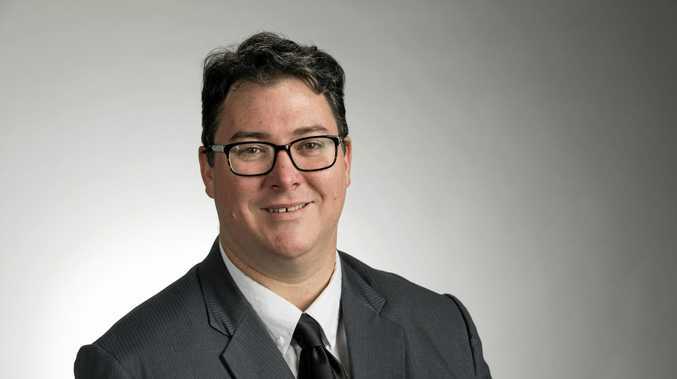 GEORGE CHRISTENSEN has called for the National Party to end the Coalition and reunite itself with regional Australia. The rogue MP, former journalist and local government councillor from Mackay said he would rather see a National Party with "tradition values that built this country" rather than wedded to a "Liberal Party lurching further away from the values we still hold". His comments come as his party members prepare to elect a new leaders after the scandal involving former leader Barnaby Joyce has sent the once rock solid Nationals into chaos. In what is becoming a weekend trend for Mr Christensen, he wrote another controversial Facebook post on Saturday following on his from gun post last weekend. "Our formal Coalition (with the Liberal Party) has proved successful over the years but it has always been a compromise and, right now, that compromise is becoming increasingly difficult to accommodate," he wrote. "The National Party must stand firm and harden our resolve to put our people first. To rise above the petty political games most Australians despise and focus on delivering the outcomes they desire. "If that means ending the coalition with the Liberal Party and instead supporting their Liberal government, with conditions attached, then we owe it to those we represent to consider our options." 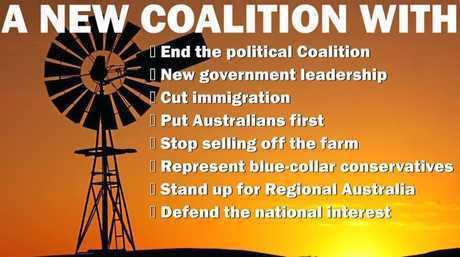 The post also had this picture attached to it with the values Mr Christensen believes the Nationals should abide by.